Windows 10 is finally making way to PCs around the globe and Microsoft is offering the free upgrade to everybody running genuine Windows 7 or 8.1. Whilst majority of Windows users will find it easy and convenient to take the upgrade directly and start rocking Windows 10, there is a noticeable percentage of people who like doing a clean install instead of upgrading over and over. Then there are users who have slow data connections, but want to upgrade multiple PCs. This is where a Windows ISO file comes for the rescue. Just get the ISO, burn it to DVD or create a bootable USB and you’re ready to install Windows to as many PCs as needed. Here’s how you can download Windows 10 Pro, Home (x86, x64) ISO images officially and legally directly from Microsoft. You can use these images for recovery or reinstalling Windows 10 later on.Microsoft makes available the ISO files every releases of Windows 10, including for the Windows 10 Fall Creators Update (version 1709), the only problem is that when you go to the support site, you don’t get an option to download the ISO files directly. Instead, you’re only given the choice to get the update assistant or Media Creation Tool. Windows ISO files are easy to come across and several media sharing websites already have one or multiple copies of Windows 10 available. But the risk is that those files can be infected by the uploaders and malicious software can be installed to the PCs alongside Windows 10. Luckily, Microsoft does offer an easy way to download the official Windows 10 files from its own servers and here’s how to do that. 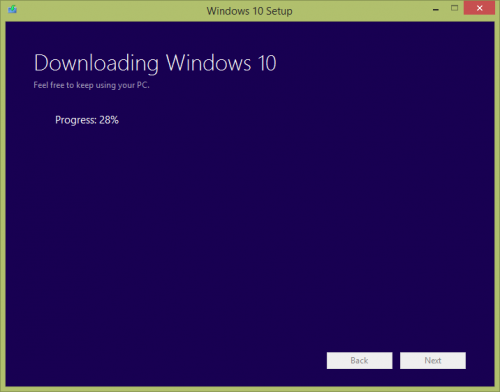 Note : Even after having the ISO, you’ll need a Windows Product Key to install Windows 10 onto your system. Download the Windows 10 Media Creation Tool from Microsoft website as per your current architecture. Run it and wait for a couple of minutes for the tool to hit Microsoft website, get the Windows 10 editions and then present the UI. 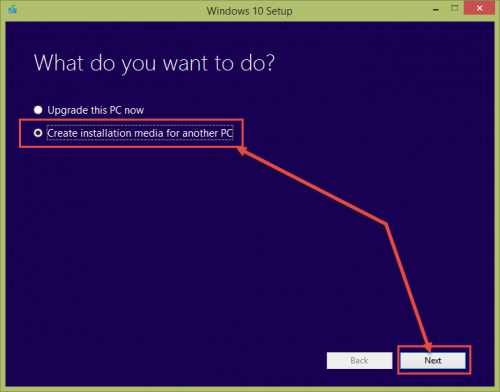 When Windows 10 Setup opens (that’s what Microsoft calls the program’s window), choose Create installation media for another PC and click Next. 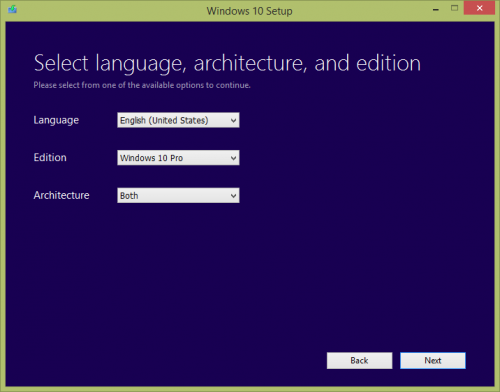 Choose the Language, Edition and System Architecture for Windows 10 ISO. Then click Next. Alternatively, you can select USB flash drive at this step and the tool will create a bootable Windows 10 installation usb after downloading the files. Creating an ISO is a better option though. When the download finishes, the tool will convert the esd image files it fetched from Microsoft servers to a fully usable ISO image file. You can then put the ISO to whatever use you may want. From the Windows 10 Setup program’s opening screen, read through the license terms and then accept them with the Accept button. Choose Create installation media (USB flash drive, DVD, or ISO file) for another PC and tap or click Next. If you’re going to be using Windows 10 on the same computer that’s running Windows 10 Setup, you can use the default options that pertain to that specific computer. Otherwise, uncheck the Use the recommended options for this PC, and then edit those options yourself. Choose Next when you’re finished deciding. On the Choose which media to use screen, choose ISO file, followed by Next. Decide where to have the Windows 10 ISO image stored and then tap or click Save to immediately start the download. You could also burn that ISO image to a USB device, but doing that using the software’s built-in tool (below) will be easier. Important: The free upgrade to Windows 10 (from Windows 8 or Windows 7) expired on July 29, 2016, so you’ll need to have a valid product key to install Windows 10. Follow the directions above for the ISO image up to the Choose which media to use the screen, and this time, choose USB flash drive. Choose a connected flash drive (that has more than 4 GB of storage) from the list on the next screen and then tap or click Next. If there’s nothing listed, attach a flash drive and try again. Important: Be sure to select the correct flash drive if you have multiples plugged in. Installing Windows 10 on the removable drive will erase all the existing files on that device. 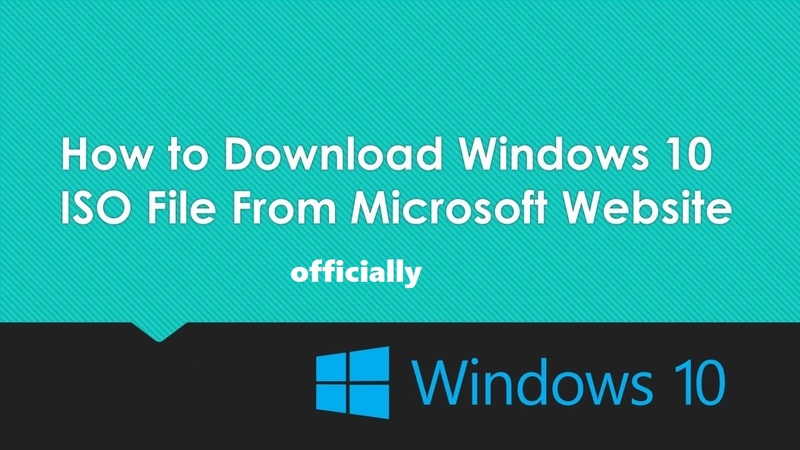 Microsoft offers such an easy to use and legitimate source for Windows 10, so please don’t download it elsewhere. Yes, it might be tempting to download a hacked version of Windows 10 that advertises no need for a product key, but with the joy of using a Windows 10 download like that comes the very real risk of getting something you weren’t expecting. Prior to Windows 10’s public release, it was available as a Technical Preview, which was completely free and didn’t require that you own a previous version of Windows. The Windows 10 Technical Preview program is over, meaning that you’ll need to have a previous version of Windows already to get it for free, or you’ll need to buy a new copy. That’s It , You’re Done Now, Hope You Will Find This Method Help, If You Do Then Show You Support By Subscribing Our Site, If Faces Any Issue Feel Free To Ask Me. Thanks !